For the first time in a while, I had the urge to get creative in the kitchen. 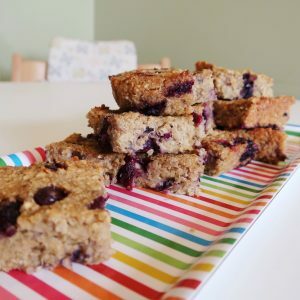 I raided the cupboards to see what we had in and decided to make these blueberry quinoa bars. 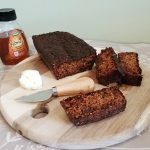 I’ve tried a few recipes for similar quinoa bars in the past so decided to see if I could make something tasty with the mismatch of ingredients I had in the house. 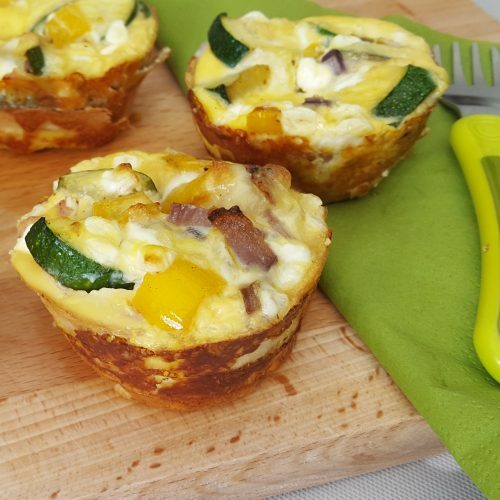 They were really quick and easy to make and turned out really tasty. The kids really enjoyed them which, as always, is the most important thing! 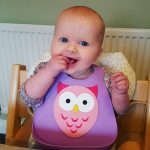 I haven’t really talked about this much on here before as I like to try and keep things positive when it comes to weaning. Choking is something I often receive messages about on my social media. 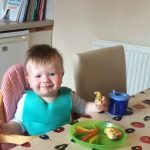 It’s, understandably, one of the main concerns parents have when they first start weaning their little ones. 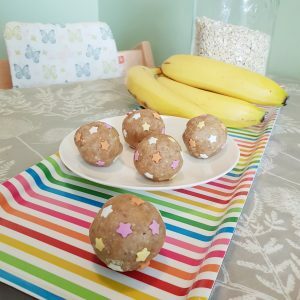 These banana and peanut butter energy balls are really quick and easy to make and perfect for cooking with your little ones. I made these with Harry who loved being my helper. 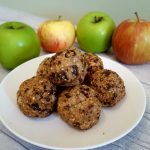 They would be perfect for packed lunches (They will be going in Harry’s to school next week) or for a tasty, healthy treat. 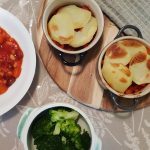 Harry loves getting involved in the kitchen at the moment and I’m constantly looking for healthy treats we can make together. These were perfect for getting my little foodie involved! Sometimes you can’t beat the classics! 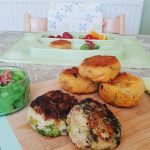 Bubble and squeak is the perfect way to use up your leftovers and makes a really tasty lunch for your little foodies. 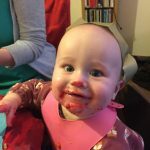 There is so much advice out there for how and when to start weaning, there are a few facts though that I wish someone had told me before I started weaning. 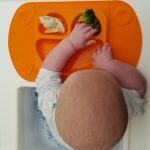 I thought I’d share them here for anyone about to embark on their weaning adventure! 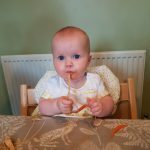 Megan has been weaning for a week now and she’s taken to it as well as her brother did. 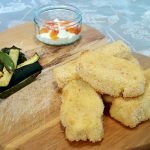 I had some potatoes to use up so decided to make some potato croquettes. 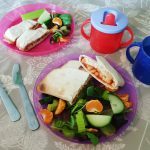 I added a soft cheese centre to make them a little bit more exciting and both kids loved them! Megan has been weaning for a week now and she’s taken to it like a duck to water. She loves her food and gets really grouchy if we eat and don’t give her anything. 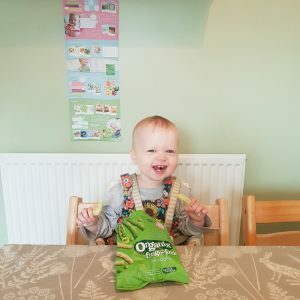 We went out a lot this weekend and I wanted to share some top tips for eating out as a family that we either use or have learned this weekend! With Valentine’s day round the corner I decided to make a little treat for Harry. 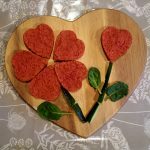 I adapted my carrot and lentil hearts recipe to give it a bit of a Valentine twist and these beetroot lentil hearts were the result. 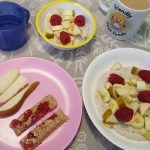 I love how the beetroot makes them a pretty pink colour and they tasted great too! 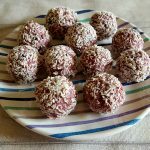 I’m really enjoying making these ‘ball’ snacks at the moment. 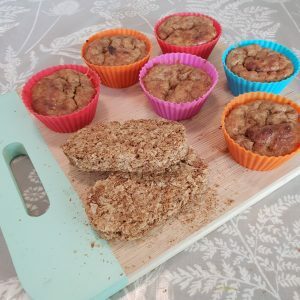 They’re a great way to get your little one to eat lots of healthy goodness while disguising it as a naughty treat! It’s the week before pay day and after splurging on decorating and baby things we’re on basic rations for the next few days. After the success of the other ball snacks I’ve made for Harry I decided to rummage through the cupboards and see what ingredients we had in to make some more. 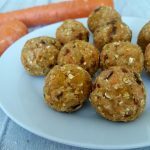 I decided to mix it up a bit and make some carrot cake bites and am so happy with how they’ve turned out. Harry loved them and so do I!